Sports fans now have new ways to keep up with scores and stats on the go following the latest update to ESPN's SportsCenter app, while users of anonymous sharing app Secret can now create impromptu polls and insert images from Flickr. SportsCenter's update comes as football season gets underway, and features speed improvements —like grouping users' favorite teams at the top of the score charts —that make it faster and easier to get scores. Game pages for both college and NFL games have also been revamped with new drive charts. Additionally, a new 'On-Air' feature gives one-tap access to ESPN Radio and WatchESPN, while alerts will take users directly to stories and videos. ESPN also promises an updated calendar section, support for spanish alerts, and general user interface tweaks. 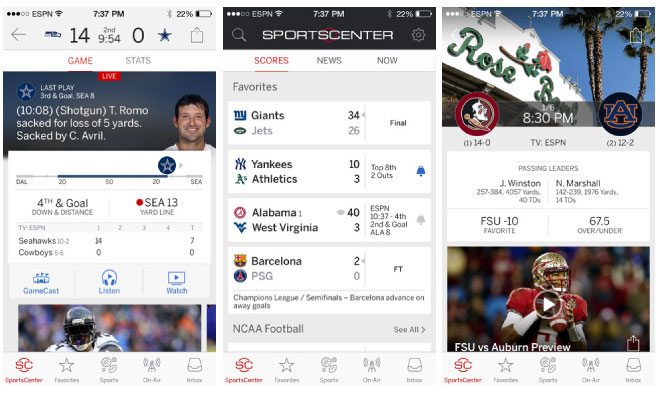 SportsCenter version 4.1.0 is available now as a free, 34.4-megabyte download from the App Store. 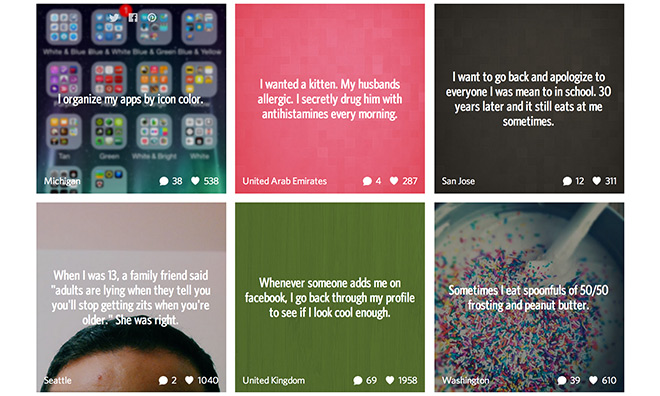 Popular posts from Secret's web client. Secret has become slightly more useful in its latest revision, with the ability for users to turn any posting into a yes-or-no question. Users can then review the results and see responses from friends. The company has also added integration with photo sharing site Flickr, allowing users to choose Flickr photos as secret backgrounds. Finally, Secret promises "improved measures for your safety" as well as bug fixes and "substantial" performance improvements. Secret version 9 is available now as a free, 17.6-megabyte download from the App Store.